Turaki Hassan, Abuja: Speaker of the House of Representatives, Rt. Hon. 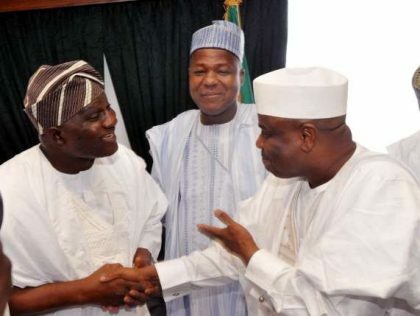 Yakubu Dogara has felicitated with his predecessor and Governor of Sokoto State, Rt. Hon. Aminu Waziri Tambuwal on the occasion of his 52nd Birthday Anniversary. In a congratulatory message he personally signed, Speaker Dogara, described Governor Tambuwal as an embodiment of humility, courage, justice, nationalism and resilience, whose life is full of outstanding success stories. “You are indeed a perfect example of political sagacity, courage and forthrightness in leadership and selflessness in service. Your steady progress, enviable pedigree, indelible legacy and reputation as honorable member, principal officer and Speaker House of representatives and now Governor of Sokoto state have endeared you to all and sundry and confirmed that with leaders like you in the corridors of authority, Nigeria’s democracy and its future remain bright”. Speaker Dogara noted that Governor Tambuwal’s achievements as Governor of Sokoto State in less than three years of his stewardship and his behind the scene stabilizing role in the national politics in general have further demonstrated his abiding faith in progressive leadership and love for Nigeria. “On behalf of the leadership and entire membership of the House of Representatives, this is to warmly felicitate with you, your family, government and people of Sokoto state on this auspicious occasion of your 52nd birthday anniversary.